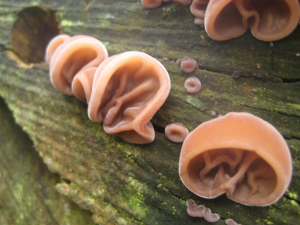 Observation - Jew's Ear Fungus? - UK and Ireland. Description: Small pale brown ear shaped fungus growing on a decaying tree stump. Small pale brown "ear" shaped fungus growing on a decaying tree stump.